As 2012 is almost at the end, I would like to thank each one of you for your continued support. I had an amazing year of blogging and my blog will turn 2 years old when January 1st comes. Thank you for visiting my site for recipe inspiration, trusting my recipes, trying them and giving me great feedback. Because of you, my life has become more meaningful. As a way to express my gratitude, I prepared following sweepstakes. I use similar/same products in my daily life and I hope you can win and enjoy it as well. Please read the giveaway rules and details below. 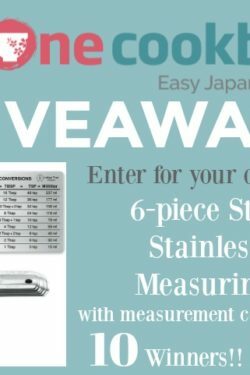 [1st prize] One (1) winner will receive one (1) Zojirushi Rice Cooker or one (1) $150 Amazon gift card. [2nd prize] One (1) winner will receive one (1) Cuisinart GR-4N 5-in-1 Griddler or one (1) $80 Amazon gift card. 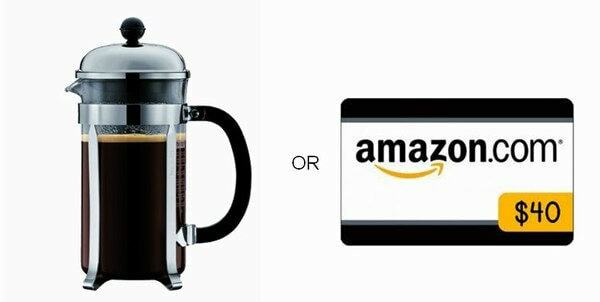 [3rd prize] One (1) winner will receive one (1) Bodum Chambord 8 cup French Press Coffee Maker or one (1) $40 Amazon gift card. The Rules: This giveaway is worldwide, open for everyone. However, please understand that if the winner(s) lives outside of the Unites States, the gift will be the Amazon gift card due to shipping cost. 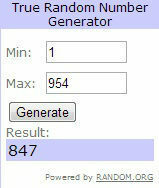 US resident winner(s) will have a choice of either the product or the gift card. To enter, leave a comment on this post and tell me what kind of ingredient or recipe you like to see on my blog. You can enter your answer to win EVERY DAY. 1) Subscribe to my blog by Email (Leave a comment with your name, even if you are already subscribing). 2) Like Just One Cookbook on Facebook, (Leave a comment with your name, even if you already follow the fan page). This giveaway will be closed on Monday, December 17, 2012, 11:59 AM PST. Entries that do not follow the entry requirements will not be considered. Three winners will be randomly selected via random.org and announced at the end of this post and contacted via email on December 18, 2012. Good luck! 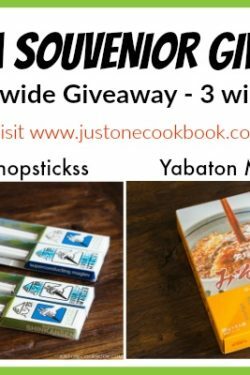 Full disclosure: This giveaway is sponsored by Just One Cookbook (yours truly). Thank you everyone for participating. Your feedback was very valuable to me and I appreciate you taking the time to let me know what food ingredients and recipes you would be interested in. As usual, my children picked the winners. Congratulations to three winners below! I’ll be contacting you shortly via email. I have already subscribed and liked the facebook! What can I do with red miso? I subscribe to your posts. Hi Nami! I’m vegetarian, so I love it when you post a recipe with all vegetable ingredients. However, I made your shio salmon recipe for my 90-year-old father, and he loved it! He’s Japanese and loves homestyle Japanese cooking. He’s not a sushi-bar kind of guy, though he likes maki-zushi once in awhile, and which I learned to make through your blog. Thank you so much for teaching me about Japanese cuisine! I would love to see more vegetarian recipes! I love your recipes with tofu. I’d like to see more vegetarian recipes and also king trumpet mushroom, broiled mackerel and your take on okonomikayaki. I would like to see entertaining and sushi recipes. I am also interested in cooking lighter recipes, still full of flavour but less calories, thanks Nami! Thanks Nami! i really like to read your blog. Keep posting all the those healthy and delicious meals! Whatever dishes that you made, all look very delicious! =) Merry Christmas & Happy New Year to you and your beloved family! Just found your site and will be trying out some of your delicious looking recipes for the coming holidays! Thanks! More miso recipes please! I got an abundance of white and red miso and I want to make something else besides soup and fish. I would like to see more vegetable recipes. I don’t eat meat, but love to eat seafood and vegetables. I would like to learn how to make more salad dressing recipes, light dressings. Thanks, Nami for your generosity to your readers. I am eager to see more Tuna recipes as main course.. I appreciate your creatively in all your wonderful recipes. I’d like to see more vegetarian recipes and anything with Dashi stock – I love Dashi stock. Your blog is brilliant – it’s encouraged me to start making home made Japanese for the first time ever. I love your blog and look forward to your recipes in my morning inbox. Also, whenever I pin one of your recipes on Pinterest, they get repined the most! We are Sushi lovers and just lately I have actually tried to make some. Your California roll is terrific and I was wondering….Do you have a recipe for Spicy Tuna? I have been a happy subscriber for about a year now. Thanks for so many great recipes. MUSHROOMS! Any kind of mushrooms. Fresh and dried. Steamed, stir fried, soup, and even deep fried…love your website, so glad i found your blog! I would love to have more Japanese salad recipes. thanks for share good recipes ! I love that your recipes are very doable. I really enjoy reading your travel posts, and introducing all the unique cuisines and foods that you eat. I love the black eggs that you boiled at the volcano in Japan. I hope to try that one day! I do know about black skinned chickens! We cook them with Chinese herbs and they are supposed to be higher in iron compared to regular chicken. Did you know black chicken have white feathers? Thanks for giving me great ideas every week to include in my meal plans!!! Nami, thanks for the giveaway. I am already subscribed to your blog. I would like to learn more side dishes from you. Thank you for the wonderful recipes for past one year and looking forward more from you in coming new year, keep up the good works. Can you do a recipe on Nishime? My friend’s mom makes this dish and its so yummy. But I don’t really have the chance to get a recipe from her. Nami, I love your blog! It’s first blog I follow. I have been to Japan this summer and miss it very much, so I try to cook a lot lot of Japanese food, your blog is great help. As for the recipe: would you try konbu no tsukudani? Or other non-fish stuffings for onigiri that one can keep for a while in the fridge. I’m fairly new to your blog and love all of your beautiful food and thoughtful recipes! I would love to see your recipe and preparation of Pad Thai. I love all the recipes you post on your blog! It’s always a pleasure to see my favorite Japanese dishes explained with full pictures and motivational dialogue. My favorite recipes would be the bento recipes! So adorable! Hi Nami, do you think you can teach me how to make Okinawan soba? I really need a new rice cooker!! I`m already subscribed to your emails! Such generous giveaways, Nami! We should be thanking YOU for sharing your wealth of recipes and taking such gorgeous photos of your fabulous dishes! I’m so glad I found your blog! I’m just happy to see any and all recipes that you feature! I’m already a subscriber. Thanks for sharing your recipes and appreciate you sharing all your travels to Asia. I love to see all of your posts, but I have to say that my favorites have to be your bento posts. I am learning to make bento and your posts are easy to follow. Maybe you could print such recipes? Would want to learn more how to make japanese bento boxes for kids…Those that are made quite beautifully with characters. thanks! I am also Japanese and I love to see all your interesting recipes. I find so many new ideas or just refresher ideas with your posts! Thank you! Hmm one ingredient I really don’t know what to do much with beyond mabedofu, tofu steak and in soups…any new tofu ideas!? Thank you for your wonderful blog! LOVE all the recipes! I love your blog. I would love to see more bread recipes. IMy family have loved making Karaage for many years. We use miso in everything from breakfast to supper on some days. Can you post a recipe with bitter melon? I am a newcomer this year and enjoy your recipes. I particularly loved the Japanese Cheesecake and have received several requests to share the recipe. Not a problem, I tell them about your website. I know this is mainly about Japanese recipes, but do you have an easy recipe to make light and buttery dinner rolls? I am not very good with yeast. Thank you for this contest. I live in Hawaii and have eaten a lot of “shave ice”. I’ve recently bought shave ice from a local guy who makes his own syrups from fresh fruits. His mango, lilikoi, strawberry syrups really taste like the fruits! He claims his syrups are healthy. They aredelicious and different from the store bought syrups. Would you happen to know how people make their own “healthier” shave ice syrups? I like you everywhere. 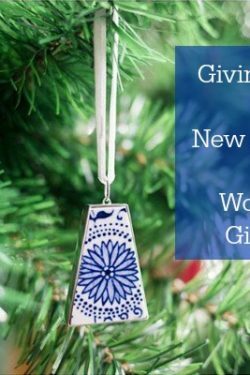 What fantastic holiday gifts! You really know how to celebrate! Hi Nami. How about recipes using aburage? I only know how to make cone sushi with aburage. thanks! I was kind of curious but do you have a recipe on Christmas Cake? I love Christmas cake and have yet to see one from you. So do have a recipe on one? now because i want so bad the Zojirushi Rice cooker ahahha i want to see in your blog more noodles recipes (i’m italian and love pasta of course) and more vegetarian recipes or some tips to make the same recipe for vegetarians. Bonus entry #1: I am subscribed to your blog. Bonus entry #2: I am also following your fanpage on Facebook. So lovely to have found this website/blog albeit late in the year! Congratulations! Dear Nami, first of all a big thanks for your blog, it makes truly refreshing reading and I always enjoy it very much. I would like you to shed your light on homemade stock for ramen so we can do away with those chemical packages. Best regards and Seasons Greetings, Frank. I have only recently subscribed, so I haven’t looked at everything yet. I like chicken and beef recipes, but would also like to find some healthier vegetable dishes. I would love to see more beef recipes featured on your blog. i would love additional easy and quick recipes. What a great idea! And congratulations on reaching 2 years of blogging. I’m just a newby and your blog, recipes, stories and amazing photography are an inspiration! Keep up the good work. Hello! I like lamb, do you have any lamb recipes for the holidays? Hi Nami! First off, thanks for your lovely comment on my blog! This is a fantastic giveaway, very generous of you. By the way, you always amaze me with all your dedication to this wonderful blog. There is one ingredient I would love to explore more: Lotus root. I have only tried cooking with it now that I’m about to leave Asia. Not sure I will find it in Brazil but loved it! Dear Nami, thank you so much for your wonderful blog and recipes. Thanks to you I tried to cook Japanese food for the first time – before finding your easy-to-follow recipes, I was too terrified I’d get it all wrong. And lo and behold, the teriyaki chicken and rice turned out amazing! Incidentally, I enjoy all your recipes (bar the seafood ones as I’m not a fan!) and my favourite ones are the teriyaki marinade ones, and the rolled omelette! The absolutely easiest and best recipe of yours I have ever tried was Anko and it tasted exactly like in the restaurants! My favourite ingredient is chicken, as it is easy to get where I live (I get the free range, organic hapy chickens if I can and other meats are harder to get ethically sourced). Another ingredient I would like to see more of is tofu. Oh, what an awesome giveaway! Thanks. I have already liked JOC on FB! This was my first time to cook the salmon | Japanese Salted Salmon (Shiojake/Shiozake) 塩鮭,my kids love to eat fish now.Thank you for your recipe gave me so nice ideas. I’m a Japanese American college student and would love to see recipes that are easy for college students to make that are both delicious and healthy. I would really appreciate it because I love Japanese food and miss the food from Japan. I would like to see more lower sodium marinades that are not soy sauce based. Already subscribed and liked the facebook, I would like to see some spicy curry recipe. I love your simple traditional Japanese recipes. The flavours are so simple and clean, and the recipes are relatively simple…I’m so happy to be able to make them myself because my family and I love Japanese food! I like your website. Full of new cooking possibilities. Would like to see more dessert items. Having been to Japan many times for business I really miss the cuisine. Perhaps the healthiest ! However your recipes and comments have brought back may food memories and I have tried many of yours.It is like being back in Japan ! Do you have a recipe for “choux cream ” the small French style cream filled puff pastries not unlike Profiteroles ? Would you put more vegetarian recipe and I love your blog! I love Japanese desserts and very excited that you have done more recipes like the Japanese cheesecake. I love Japanese food. I like seaweed salad. Your recipes are easy to follow. I love your blog. Your chicken teriyaki recipe is the best! I’m looking for a dynamite recipe. I first found you by searching for a doria recipe. My friend makes it with white sauce, and consomme to cook the rice, but she never uses recipes so had none to pass on to me. Could you please post a white sauce doria recipe? Thank you and Merry Christmas! I would like to see fresh easiy available vegetable dishes made with tofu. I really like the homey feel of the food you cook. I subscribe to your newletter and follow you on your fan page on facebook. I LOVE your steak croquette. Really. I tried them out last week and wow, delicious. Thank you so much for this blog, I love japanese cuisine. I would like more recipes using salmon…kep up the good work! Hello Nami. 🙂 I’ve become a big fan of yours lately, and tried making a lot of my favorite dishes for the first time. I like to see recipes using dashi, because I’ve been making batches almost weekly and I’m eager to use it all! I have also subscribed to your mailing list. Thanks! I love all your recipes and I would love to see some special recipes for kids if you have some. Thanks for sharing your passion with us! I’ve really enjoyed the bento recipes and would love to see more. Nami, so thoughtful of you to have this giveaway contest! Well, we have always enjoyed japanese desserts, so more of such recipes would be really nice :). Thanks and hv a good weekend. We love Japanese eggplants and tofu. Would love to see more recipes on these. Thank you! I would like to see karaage recipes. Thank you so much for this wonderful contest but most of all thank you for sharing all the wonderful recipes with us. I have tried some of your recipes and my family have enjoyed them very much. Would love to see more recipe on cooking with salmon as my children love them. Wishing you and family a wonderful Holiday Season and A Prosperous New Year. Hi Nami! I’m interested in cooking with yuzu. Thank you for a great giveaway! I eat vegetarian for the most part (I do eat fish) so naturally I would like to see more veggie recipes. I love the blog, though, even when the recipe isn’t vegetarian. Love your recipes, especially those for the Bento boxes. Would like to enter this contest, but I do not have a Facebook account. I’m sure your page is nice, but I was hacked via Facebook & cancelled it. I rec’d recipe for shrimp tempora and can’t wait to make it for X-Mas eve. It is so very pleasant to have food/cook site(s) alternative to comfort,italian,etc. Can’t wait to begin making some of your wonderful foods. Have used Panco in the past but can imagine how many more uses I will find with your recipes. Thank you for sharing and know that i will make the very best of your expertese gift(s). Have a great holiday season. Love your chicken teriyaki, I make it for my daughther’s lunch all the time. So, I’d like to see more chicken recipes. Thanks so much for sharing your recipes. Subscribed again 🙂 Would love to learn more ways to use ume. Thank you! Enjoy your website w the wide array of recipes. More recipes using eggplant pls. More vegetable and fruit pickling recipes. Left a comment on your Facebook page. I’d also like to see more vegetarian recipes. Thank you! Nami, I love all your recipes! Thank you for having this giveaway! I especially like all the different preparations of chicken. I love to see more recipes along “Cooking Japanese for one person”. I recently made the Oyakodon (over rice) using the Oyako Nabe pan and it was perfect for one meal. Thank you for a lovely and informative website. love what you do nami, im from taiwan and my wife is also japanese. keep it up!!! Hi Nami!! I am subscribed to your email list and also to your facebook page. Thank you for fabulous Japanese recipes. My favorite is Adzuki bean….Dorayaki. It was a favorite treat for me when I visited the markets near my hometown of Misawa. My name is Stacey and I’m a subscriber to your blog! I went to a japanese restaurant that mixed traditional with modern. Had a ‘traditional’ chili which was unbelievably good and just a little spicy (it complimented the soft Shell crab that came with it) id love to make it at home! I love to see noodle recipes and Japanese desserts! Yuzu, Sake and fruit desserts! Okay, I’m already subscribed – wouldn’t want to miss a single posting. We have eaten better since I signed on. I like the facebook (under the SO’s account). I would like more fish recipes, we have gotten hooked on the flavors and the SO who never ate fish before is asking for more. I love cooking with miso paste! More tofu or ground chicken recipes would be great– thanks for the chance at the giveaway and your great blog! I’m already subscribed to your blog. Thanks for all the wonderful recipes! Thank you for this wonderful giveaways. You are a wonderful angel, blessed to know you through blogging and learnt many Japanese recipes from you. I would like to see more recipes for Udon. I’m always searching for recipes using yuba and okara. Is there a recipe for Hamachi Kama? A local restaurant has the best Hamachi Kama with a delicious ponzu dipping sauce… hope I can make it at home. Thanks. I would like to see a good recipe for coffee cake. I am a recent subscriber and have thoroughly enjoyed your recipes. Also enjoyed following the experiences of your family, esp. your trip to Asia. Wonderful photos too! Much. I think being a Marine’s wife due to time he spends away from us, this site made me make special food for him that he loves. So, thank you for making the recipe easy, convenient and affordable. I would like to see more Japanese desserts, since I really enjoy learning about them. I’m an e-mail subscriber. I have already subscribed to your blog by email. I’d like to learn more about sushi. There is so much inauthentic sushi in the US, but I’d like to know what makes good authentic sushi. I’m a Facebook fan. And more creative bentos idea! I’d like to know of more recipes using tofu too. thanks! Gave a big thumbs up on facebook! I was very happy to find your blog while searching for comprehensible ton-jiru recipe. hi nami , i want to see more traditional recipes. I would like to see more vegetable dishes. My current favorite dish from your vegetables recipe is the eggplant with sesame ponzu sauce. So good! Hi my name is Pamela and I really enjoy ur great recipies, I have even. Tried a lot of them and they are great I already have a few of my favourite recipies in my recipie box. Hope to see some more interesting recipies. Hi Nami. Thanks for all your delicious recipes. I look forward to more simple, easy-to-prepare but delicious dishes. I love mushrooms so I hope you can share more recipes using that. Happy Holidays! Love your site. I live in Hawaii, and love to see more fish and noodle recipes. Thank you for all your wonderful recipes! It’s all natsukashii, because my mother would cook Japanese food all the time. I would like to see some kind of manju recipe because I think my kids would like to try that. I use many of your recipes when I cook for my family. Thank you again for your blog site! I haven’t made it through all the recipes that are here already, but I would love to see more mushimono (蒸し物). Especially anything that I might be able to make in the steamer basket of my rice cooker. Thanks for your recipes! I am Ecuadorian but I think I was Japanese in my other life and absolutely love Japanese food. I love your website and easy recipes. Well…I love all your recipes! I’ve tried so many of them too. They’re all so good! I think one of my favorites is the dango recipe. It makes me really happy. Oh, and your dessert recipes make me really happy too. 🙂 If anything, I’d like to see more dessert recipes. Your desserts are the best! Nami, I can not forget the cheesecake recipe, so I like to see more Japanese deserts, please-))) I have already subscribed and liked your facebook, and I really happy to know you! I’d be interested in recipes that use labor saving appliances, eg. pressure cookers, rice cookers, crockpots. This is my first time subscribing and wow lots of fun recipes and they’re easy to make. Thank you! I’d like to see more recipes on chicken and seafood with vegetables. Thank you for a chance to win. I LOVE the quick everyday Japanese recipes. Thanks. I don’t read many blogs, but yours is a MUST! Not just the recipes, but the entries about your trips and restaurant reviews! I especially like the traditional Japanese recipes. Thanks for all the beautiful and helpful photos. Korean BBQ or Japanese Curry please. I like adding matcha tea, but I do want to start trying red miso also. I would love to see a few more chicken recipes. I have two daughters who won’t eat fish so that limits me sometimes. I subscribed about a month or so ago and have loved getting your emails. I just liked you on Facebook too. I found you because I was looking for recipe to cook Japanese dishes. After my trip to Japan in November I want to learn how to cook some of those delicious meals. I love your site because you show step by step instructions. Thank you for taking the time to post these delicious recipe. I’m subscribe to you newsletter! Hi Nami, I’d like to see some recipes using matcha. Thanks and I’m already a subscriber to the newsletter. Aloha from Hawaii! Thank you for your great blog site with excellent simple recipie for my family. I was looking for easy (eggless) recipes. Eating out is expensive AND having an egg allergy makes it an adventure. I wanted to make my own to ensure no eggs and to save a bit of money. I LOVE the spicy rice noodles. I love all of the Japanese recipes that you post on your blog. More of those would be great! I am Japanese but never learned to cook “Japanese”. Since I am caring for my Mother, we are both enjoying your recipes, especially the chicken dishes. Thank you. I would like to see how we can play around with cinnamon! Hi Nami! Thanks for this giveaway opportunity! I love to see easy Japanese recipes for home cooking – especially soup meals, with a combination of both meat and veggies or else fish and veggies. It’s always fun to read your posts & learn from you. Happy Holidays! I am a fairly new subscriber and so happy I found your blog. I would love to know how to cook authentic sukiyaki. Lived in Japan for three years, love the people, the culture and traditions and especially the food! Finding your blog is one of the best things to happen to me this year! Thanks for posting it! I love your recipes with dashi! Hi Nami — I love the recipes with Japanese sauces that I can replicate at home — it’s hard to find them in the stores around here! Thanks! What can things can I do with bonito flakes, other than onigiri? I subscribe to your email. So glad I found your site. Thank you! Happy Holiday season, Nami. How sweet of you to think of your subscribers with your generous giveaway. Although I enjoy all your recipes, I especially like to see the ones that are made in the Japanese home ie omurice and chawanmushi, simple and tasty. I love your Japanese cooking and recipes. Already subscribed to the newsletter. I would like to see recipes for red and black rice. I just found some in a organic store and would like to try some different recipes. I am a recent subscriber to your e-mail newsletter which I enjoy very much. A new ramen shop opened that advertised a “Tonkotsu” style broth, so decided to try it. It was so delicious! I just can’t get it out of my mind- the broth was so silky and rich. I would like to learn how to make that broth! They also served Char Siu in the dish which also was very tasty and would like to learn how you make that too. Mahalo- Thank you- Arigatoo gozaimasu. Aloha and congratulations on your success! I am unfortunately not a fan of Facebook so I won’t be qualified for this giveaway. I do follow your posts and emails and I thank you for your amazing recipes (Japanese menu). Much love and appreciation. Looking forward to more! Maybe misoyaki butterfish too?? Mahalo’s girl! I really like your blog. I would like to see more sushi and vegetable dishes. Also Japanese table settings. Love your recipes. Unfortunately, I did get a chance to learn all my Mom’s great traditional Japanese cooking from her while she was here and didn’t realize what a great cook she was until she passed away. So, I would love to see the good old traditional dishes. I would love a recipe for Japanese beef curry. I have looked for curry powder from Japan but it doesn’t seem to be the same depth of flavor as I have found in a curry I tried called Agura. I comes ready to heat in a foil package. Can this flavor be duplicated? I’d love to see more fish recipes. And recipes for hors d’oeuvres sorts of things. I already subscribe via e-mail. …and I already follow on Facebook. I like the japanese recipes! I love cooking asian. I use a lot of the cooking oils and rice vinegar. I do alot of stirfries and LOVE shrimp. Can eat and cook all the recipes I can find. It’s hard to pick just one category of recipe I like to see on your blog. The bentos were so cute and I really had fun reading all of those posts but I must say, your desserts always get me. I think I’m going with sweets and desserts. I would love to see recipes of Japanese hot noodles. I tried some in Beijing,China years ago, but I don’t remember the name. Something with udong noodles. I am already a subscriber and this contest is awesome. Bananas! I love banana recipes! Your One Cookbook is perfect. Very clear step by step instructions. The pictures are very clear. I especially like the Japanese recipes. Love the site!!! Would love more recipes with sea veggies like hijiki and wakame. Oh, and since winter is almost here some yummy recipes for nabe and oden would be much appreciated! Happy holidays! I would love a blog post on a traditional Japanese breakfast bento. Thanks so much for the giveaway! I like the appetizer and dessert in Japanese style you made. When I have no idea what to cook, I would always go to your blog to get some ideas. I will give you my wishes at January but thank you again for this lovely giveaway Nami, you know that I am a subscriber, and a fan on facebook. I love to get any Japanese recipe,but I would particularly like a recipe for the special Wagashi. I love ALL of your Japanese recipes! Hi Nami! I would love to see a recipe for the great pickled veggies I remember when I lived in Japan. Veggies, such as cucumbers, eggplant, squash, etc. were inserted into some type of mash and then removed days or weeks later when they were ready for eating. Does that sound familiar? I love your blog! I would love to see more recipes using egg or tofu. They don’t need to be vegetarian. I love to cook with meat for flavor but my husband and I try not to eat large portions of meat to try to be healthier. A friend tried your Korokke recipe and said they’re the best! So I just started browsing your blog and I want to try the salmon and roe don, it looks delicious! I’m also subscribed to your eNewsletter and Liked you on FB. Thank you! I have enjoyed all of the recipes and tried quite a few. My husband is Japanese and since I have followed your recipes he is quite happy and I am getting compliments instead of what’s this? I would ginger pork or eggplant or iwashi with ginger. Thank you for the great recipes and photos (which are very important). Merry Christmas to you. I’m crazy about pumpkin or other squash. For me, it’s total comfort food! Any recipes would be great! Dear Nami ~ i subscribe to your emails & have recommended your site to many friends. I love the miso & tofu recipes. Simple Homestyle Jpn cooking recipes would be great. Okazu, oyako, etc… Fresh vegetables & salads too!! LOVE your site, photos & recipes! Although I love traditional recipes from all around the world, I have eaten some fantastic fusion of the east and west food. This is very popular in Australia as we love to put our “attitude” on what we cook. This way you can have a go at cooking anything and substitute ingredients without a worry. Can you give us some twists to your traditional recipes you present. Many thanks and Happy Holidays. i LOVE your Japanese recipes! i have only recently started cooking, and your recipes are well explained and are so easy to follow!i’d like to see a recipe for curry rice. mom makes it, but i’d like to surprise her! Easy chicken recipes with a hint of sweetness. I would like to learn more japanese recipe with fish and veggies like bitter gourd for one. More power to your blog for the coming years! Keep the Japanese dishes comming… I miss my mom’s cooking… I still have my favorites I make often… Love it! Hi Nami, Healthy Asian inspired dishes especially from countries in South East Asia would be my request from you. Good job and always reading your blog. I love to receive your weekly recipes and to read about your family both in Japan and Taiwan. Your children are adorable in the pictures you post of your travels! I love to make many of your recipes as I cook Japanese food almost every night for my husband. We love Japan and travel there about twice a year….in the spring and fall. You make cooking so much fun and exciting with all your recipes with all the pictures of the beautiful dishes and ingredients! The pictures make it very easy to know exactly which ingredients to use. Your photos are outstanding!! Could you share some recipes that use YUZU juice? I LOVE YUZU but unable to get the fresh fruit in Hawaii so I resort to buying the bottled juice. Thank you for always sharing such wonderful meals!! I agree with many of the others: may we have all the variations you know on both tofu and vegetables: am delighted if I can ‘pretend’ to be a vegetarian a couple of days a week 😉 ! I DO subscribe to your emails: they are an essential part of my day 🙂 ! I’ve been enjoying your website very much. using Brown rice and a typical pot instead of a rice cooker. i would like to see japanese dessert recipes. thanks! I learned about this giveaway in the newsletter, and I also follow you on Facebook. Keep up the good work, I love your recipes! Oh! I forgot about the most important part: I’d love to see more recipes in your blog featuring tofu. Hope my comment still counts this way! It has been a pleasure learning more recipes from you. I will try these for my family to savor. I would like to see more Japanese dessert recipes. I glad my best friend told me about your web site. I learned how to make a green tea ice cream and now we have ice cream every night. I would like to see more desserts and simple recipes too. Keep posting your vacations as well. So that some day, my family and I can go to the same place and enjoy the food there. I would love for you to make a Chocolate Cake with Chocolate Frosting. I would like to see more recipes using mochiko rice flour. I have a couple boxes and don’t know what to do with them! I would like to see some Japanese desserts, using ingredients like mochiko and anko. I have a son 16 months old who is a very picky eater. I would like to see more recipe for kids. He loves eating noodles and salmon. Thank you so much teaching Japanese cuisine. Also, I was very happy to find your Zaru Soba recipe, because it is my second favorite Japanese childhood food memory. I never knew what the sauce was – glad to know how to make own Mentsuyu now! what are some things i can use rice flour for? by the way i love your recipes even though i’m not the greatest at cooking. In Japan we lived in Yokohama. My mom would order chuka soba noodles. The delivery man pedaled a bike with trays of hot noodles stacked high on his handle bars. The bowls were porcelain too! If you could ever recreate those noodles…they were amazing! I love your website. Your recipes are authentic and easy too. I love your site and the recipes you post. I’ve never gone wrong trying them. I was going to ask for a recipe for the elusive Mushipan perhaps with some optional flavors, but in looking through some of the older recipes, Lo and behold, you’ve posted it!! While I realize you’re not much into baking, some of the interesting lunch foods in Japan are actually the snack/sandwich breads and would be great to work up for lunches throughout the week. Can you possibly post some of those, like Curry pan, yakisoba pan, etc. Also would love your take on a Yaki-mono dinner. We do that at home occasionally since we no longer live near a kushi-yaki restaurant. Thank you. This is very gernerous. I’d love to see somen noodle recipes. I love noodles! I cook Shiojake this morning and that was the BEST salmon I have ever eaten, it was so good and so simple to prepare. Thank you very much Nami. Would love more salmon recipes please. I have enjoyed your Japanese recipes, especially the ones with various rice flours. My teenager, the Chinese language student, has given this former Russian major a new set of interests that your wonderful site and emails have further inspired! I enjoy following you on Facebook. I have tried several of your recipes and have had great success. I would love to see more vegetarian recipes and also ways to prepare tofu. I would like to see some breakfast recipes. What is a typical Japanese breakfast meal? Well you know I love to see your Bento’s Nami, but I think my favorite is when you use eel. We all loved the unagi don. 🙂 You know I love your blog – congratulations on the nearly 2 years! Here’s to many, many more! Hi do you have any squid recipes? I recently had some whole cooked squid. It was so tender and delicious. I now would like to try to cook some. I like it when you use fresh vegetable without deep-frying. Already a subscriber, love the emails, fan of anything with miso. Besides sushi and fried rice, are there other ways to use rice? I love your blog and look forward to every one. I like to see tempura and gyosa recipes. I wuld like to see recipes using nasu. LOVE YOUR BLOG. Black seaseme tofu. Love your blogs and creative recipes! I’ve only been subscribing for a little while, but am interested in Okinawan cuisine. Thank you for your generosity. Have been referring to your blog for Japanese cooking. Love your easy to prepare desserts as well. Love your recipes and especially anything with eggs. Such a versatile ingredient – savoury or sweet, soft or firm texture and so nutritious and economical. I really enjoy you’re recipes. They are simple to follow and are always delicious. Hello Nami, thanks for the contest. Just leave you a message in the Facebook too. Tried your recipe for the tempura using fish and shirmp and my family love it! Next time I will use vegetables. I usually cook Filipino dishes eventhough we live in New York now and my 2 daughters who are both teengers now still love our native dish. But we all love Japanese food too but don’t know how to cook, thanks to your website. Have a happy holiday to you and your family!! Would love to see shio koji being used on your blog, Nami!! I am subscribed to email updates! It’s the first time I’m leaving a comment here but I have tried a lot of your recipes and my husband has been very, very happy about it. I always check your blog for recipe ideas. I love that most of recipes are quick and easy to make. I would love to see more bento ideas and vegetarian options! already like and follow on FB. Thanks for sharing your recipe. Although I’ve several Japanese cookbooks, I find yours is much easier with the step-by-step photos on your blog. Thanks for the amazing contest and recipes. I’d like to see some super quick recipes for the starving student on the go! I liked your page on Facebook as well. What a great contest…!!! and worldwide…great!!! You know what, oneday I want to see you making somtehing made with yeast. You have a great talent, so I’m sure you can have a great creation. love tosee more recipes using tofu. Wow, what a terrific giveaway! So generous. I enjoy all of your recipes, but I’ve particularly enjoyed the bento box ones you’ve done — you’ve got a great eye for color and design, and they look so pretty. I subscribe to your emails. Always interested in more recipes with gobo. Thanks! Love your emails! Always interested in more Japanese vegetable recipes. Thanks! I enjoy your recipes and have tried many of them. I am from Japan but I never cooked when I lived there. After moving to the U.S., I started cooking since my American husband loves Japanese food and started to appreciate my mom’s cooking back when I was in Japan. We would love recipes with seasonal vegetables as well as main dishes that aren’t deep fried since we are trying to eat healthy. Salmon recipes are a favorite! I would love to see recipes for different types of Fried Rice! I already “Like” your page on Facebook. I would like to see mushroom recipes on your site. Just found your site last week and I subscribe to your emails. Thanks! I love the simple everyday recipes that I am trying to perfect or at least get better at, like agedashi tofu or yaki tamago. I would like to know a good recipe for dragon fruit. On its own it tastes a bit blunt (maybe we got not so good stuff?). I am not a baker or other sweets-creating person. However, my husband and I enjoy savory dishes with fruit. Any idea what to pair dragon fruit with (I think for pork it has not enough umpf), beef, I think, is not good. So, chicken, shrimp, fish or tofu? I am open to almost everything! I am subscribed to your newsletter already. I would like to see recipes using Teff. Recently discovered your site and have fallen in love!! you are a superstar! Hi Nami, I do not have any specific recipe because I love everything in your blog and have tried the recipes already. Thank you for having this contest. My family and I are a big fan!!! I’d love to see more Bentos, they are just SO cute!! Love all the recipes and easy step by step instructions which include visual pictures! I would love to see more whole food plant-based japanese…. ! Love your cooking! Thank you for having this contest! I love your newsletter! I would like to see more tofu recipes please! Thank you for all you do! love the blog, use most of the recipes and find them wonderful. This is going to be interesting. Thanks for this chance! Your recipes I find delicious by the way and Merry Christmas! Love this site! I used to live in Japan, and it is so nice to get Japanese recipes in English! Thanks. I would love to see more dishes that includes teriyaki sauce as well as sushi recipes..
By the way i love your blog with all them recipes to choose from..Thank you so much. I would love to know how to make wagashi. I love sweet things. I would like to see more dishes that use ingredients that are more common in other parts of the U.S.A. I wish we lived in San Francisco and had access to more Japanese ingredients so it would be nice to see more dishes that can be prepared with more common U.S. grocery ingredients. I really appreciates the great recipes. Keep them coming. I have “liked” just one cookbook on Facebook. I would like to see more simple Japenese receipes . Have already subscribed and liked on the facebooks! I’m a Malaysian and have been following you only for a few months and am really impressed with the tempura dishes as well as the other dishes. 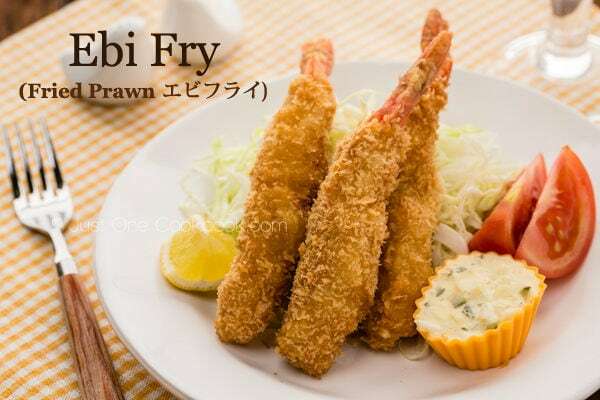 I have tried making the prawn tempura after looking at your advice on line. It turned out quite well. I abstain from taking pork and beef due to religious restrictions. I do wish for more dishes using fish and chicken which my family enjoys and vegetarian recipes that you have tested for a variety. Tq. I live in Shanghai and came upon your website when I tried to look for recipe of japanese steam cake. Since then I have been trying out your recipe. My kitchen is full of Japanese ingredients now,LOL..Anyway, I would like to see recipe of takoyaki or any octopus dish.. Thanks soo much for your awesome recipes. Dear Nami, I really love your blog. Thank you so much for being so generous in sharing your talents. I would love to see more bento ideas. Thanks..
I’m Ariani and I already subscribed to your blog. Mahalo for this very generous giveaway! I’m Japanese and very new to cooking! I’ve tried several of your recipes and they were so delicious and easy to follow! Thank you for sharing! I love nishime! I love any kind of mochi! Nami! I want the rice cooker-please!!! 🙂 I would really love to see home made inari-age recipe and more vegetarian dishes please. Thank you for having such a special treat for your readers! I would like to see more japanese pasta recipes. I also “liked” your fb page. Thank you Nami for generosity for this giveaways. I loves to see more recipes on chicken and tofu. Happy holidays to you and to your family. I love to see family style meals like your sukiyaki. They’re interactive and allow everyone to take part during the meal:) Very comforting and cozy type foods! I love your oyakodon.. very easy and yummy..
Hello again! ok…this time I would like to cook more with bok choy but the only way I know how to use it is in soup. Do you have other ways up your sleeve? I would like to see more taro in the recipes. 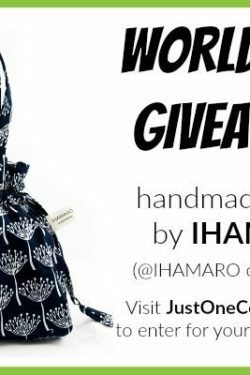 Nami, thanks for having this contest and it is very generous of you to give such good giveaways 🙂 Love your blog ! Hi Nami, I love your blog and I’m always so excited when I see a new post up 🙂 I’d love to see more recipes using dried noodles like soba or soumen, it’s pretty hard getting fresh noodles when I’m at college! Happy holidays and thanks for all the recipes! I have already liked your facebook page, and I don’t know if it counts but I’m subscribed to you on Google Reader. What a great giveaway question! What I’d like to see on your blog? More Asian/Japanese food. . maybe more seafood. . there’s not enough of that going around in the blogosphere. Please post more soup recipes! Thanks. I am now subscribed to your blog! I love pumpkin to the max!! Other than roasted pumpkin, and butternut squash, what other dishes can I whip with pumpkin? I am subscribed as well my friend and I want to see more desserts! I like your one-pot dinner solutions! Like oden, sukiyaki, etc. Quick, great-tasting and simple to make! I really enjoy seeing the homestyle Japanese food on your blog. Perhaps kimchi? I realise that its not a Japanese ingredient though. I’ve been following you with RSS feed. 🙂 Just signed up with the email subscription. Please use goya- like goya chanpuru! I heard it’s really healthy, and I thought maybe you could give us some new and fun recipes! Thank you Nami, i would like to see more bento ideas and something spicy, because iloe spicy food. I love your recipes! I’d love to have chicken recipes. I just want to say how each of your dishes is like a work of art. Those peas! That Ogden overflows!! Just read the blog on Family Meals and I fondly remember great unagi in Tokyo. Going out today to buy some unagi and enjoy tonight ! It would be wonderful to see more recipes for salad dressings? I buy them from the store, but it would be nice to make my own, & more vegetarian/seafood dishes. Thank you for the wonderful recipes always. I really like the traditional Japanese recipes and wouldn’t mind seeing more with ingredients that are not very familiar in the US. please continue to put the picture of the product you use. it makes it easier to find the same one in the store. thank you. What a nice array of dishes. I’ve never seen your post for Bouillabaisse before, that looks wonderful. I’ll be sure to try that. Happy Anniversary! Hello, I love your website – I am just learning about Japanese cooking, so I just need very easy and quick meals. So far, I have enjoyed a couple of your recipes, and they were very good. You are doing great! Thank you. I love seeing all the fresh Japanese ingredients in your recipes being that I live in okinawa right now it’s really nice to be able to find all the local ingredients. I lke step by step receipes . Very easy that way . I would love to read more recipes on cooking ramen soup base! Please post more recipes for Sweets and Treats! I have subscribed and also liked on FB. Love your dishes, i have made the most dishes from your website than any other blogs. Mochiko – dessert that uses mochi. Hi i have subscribe and liked the fan page! Different types of seaweed are always interesting to learn about. I would love more one dish meals. I enjoy reading your blog. Keep it up! Maybe some more root vegetable recipes? Thanks! I have been a follower for a while now via email. I follow and LIKE you on Facebook. And I pinned this post to pinterest. Hmmm, recipes featuring shio koji? Am already subscribed and I just liked the FB page! Always enjoy reading your blog and looking at your photos. I would love to see more uses for vegetable dishes. Thank you! Thanks for all the great recipes. I would love to see your recipe for katsudon. I am always looking for new and exciting appetizer recipes! This is an awesome giveaway! I am dying for a Zojirushi rice cooker!!!! I would love to see a post about vegan options for fish sauce. I would like to see more recipes for adult bentos. Tofu recipes are much welcomed! Keep up the good work! I already subscribe and liked your posts! I would love to see a recipe for Ramen soup that is much lower in sodium. I love ramen soup so much but it is always so high in sodium, which I have a sensitivity to. Thanks! I’m so glad I found your blog. I really like it! I subscribe via Google Reader. I would love to see more Japanese home cooking / everyday meals that you think are easy or low-hassle enough to make on weekdays. On another note, I am always so impressed by how Japanese households keep their houses so tidy. Although it’s not a recipe, I’d love to know more tips on this subject. I have no idea what I’d like to see more of. Seriously, you have some amazing stuff, I just started following you recently. O, O, I know, do you make mochi? My boyfriend and I tried to make it with mochi rice and a kitchen-aid last year, very experimental. It mostly worked. He’s made it before, but by pounding or using a machine, and not a mixer, so we didn’t really know what we were doing. We successfully made the paste (I guess you’d call it that?) but then we couldn’t really figure out what to do with it after (I suspect his mom was the one making it not him). We fried the next-day leftovers then the rest of it went rotten because we couldn’t figure out how to dry it. He kind of thought it was crazy, but I like doing crazy kitchen things. this blog is almost exclusively devoted to Japanese Wagashi, and has a very good mochi recipe. The author writes in English and German. I highly recommend it – just seeing the beautiful pictures is amazing! Hi Nami! I’d love to see some ideas on what I can do with seasoned kombu. Is it used exclusively as a garnish? Thanks! Thanks for all your great recipes! My family enjoys it very much. I would like to know how to make kurigohan! Thanks. I love your bento ideas! Thanks! Thank you for your posts and recipes! I always look forward to them to try something new for the family. What about an oyster dish since it is oyster season. Can you show us how to prepare shoyu tamago? I love when you cook seafood – so inspiring! I love mushrooms, so I’d love to see some vegetarian recipes with mushrooms! i would love a tutorial on dashi , the kind with the powder as well as the ones in the store you can buy already made? It’s so confusing because there are so many kinds and I have no idea which one to get when a recipe just calls for “dashi” – thanks! I love your blog!!!! I love anytime you make bento boxes! u hav such a nice newsletter! More seafood dishes please! I love seafood! Love the donburi recipes (as this is a childhood favorite). Thank you! Nami: I found your website by chance recently when looking for ways to use my over abundant crop of Japanese cucumbers. Love it. Thanks. How hard is it to make mochi balls with the sweet filling? I live miles away from Japanese food and sometimes I crave those Mochi balls. More vegetarian recipes, too! Thanks. I love all your recipes, especially the dressings and sauces! I love making my own fresh salad dressings and would love to have even more to try! I would love to see more Japanese Tofu recipes! I love your Red Bean recipes as it is one of my favorite ingredients. So it’s close to New Years and Japanese markets will have plenty of new year products. One that interests me is interesting looking packages of mochi, or I think it’s mochi. It will be interesting to see a blog post of new year foods and traditions your family might do. Good day Nami! Would love to see simple recipes with tofu please. I’d love to see some more shrimp dishes! I like to see rice in your recipes. My daily routine is to check your blog for new recipes. Id like to see more recipes that my kids ( 1 and 3yr old) will eat easily and that is quick and easy to make for me…or ones that i can prep easily the night before so cooking the next day is easy. I follow Just One Cookbook on facebook. 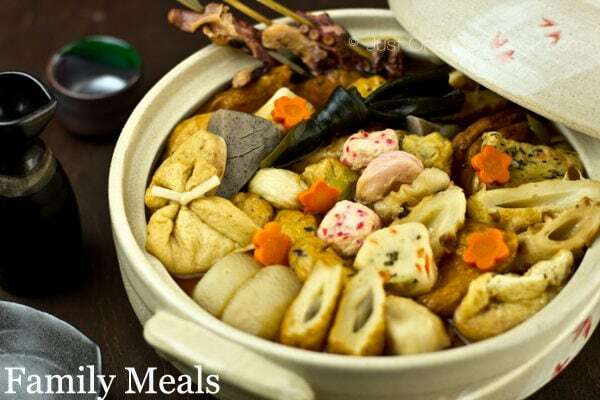 Your Oden recipe reminds me of my mom. It’s something we used to enjoy together during the winter season. I enjoy your blog and always appreciate recipes for any dishes that are fairly quick to make and that everyone will love, especially a 2nd grader. Hi Nami, I love your blog!!!! I love your pictures of food and your travels, you have such great visual taste! enjoy any recipe that’s super easy. I’m new to Japanese cooking and am enjoying simple easy meals to try since finding your blog. Thanks! I like to see Miso in your receipe. Nami, what a gorgeous selection of dishes! Let the party begin! Congratulations on two years of your wonderful blog. I can’t believe it’s been almost two years already… It has been such a pleasure to follow your lovely blog this time and to know you! 🙂 I love seeing sweet recipe here 🙂 Cheers! I love your traditional Japanese food recipes! I like your photos accompanying your receipes. Thanks. I would love more Japanese dessert recipes. Any recipe involving rice would be great! I would like a recipe for Chicken Meatballs Yakitori. I would like to see more quick bento ideas!! Bonus entry – subscribed to email listing. I would like to see a recipe for Konbu Maki. I was excited to see the “one dish” offerings in the email i received today. i used to work at a “high end” Kaiseki restaurant here in Maui and although some may consider these “simple foods” they were prepared and served in the multi-course meals we served. I miss those days but look forward to using your recipes at home. FYI, I am new to your blogs but get excited each time you post something. Do a Hiroshimayaki recipe, or horomon! I would like to see more recipes with avocado! Need a recipe for homemade teriyaki sauce. love THiS site, ive been trying to make two new things each week for me and my mom and sister from your recipes. im 18 and this site has helped me become more interested in cooking. i would really like to see a recipe for japanese pizzas, beni imo ( sweet potato icecream) , more deserts please for example like how to make light and fluffy japanese cakes with the pretty fruit on top, chinese new year cakes ( i dont know if you make chinese food a lot but since you said your husbands chinese i just thought maybe…. ), yea a lot of different sweets , because I LOVE SWEETZ!!!!! especially japanese sweets. my favorite recipe so far is the Mitarashi Dango. next ill probably try a bento …. WHICH REMINDS ME more bento lunches please. i have a huge amout of suggestions so ill save the rest for later . and thank you for making this giveaway , im super pumped. I love seeing soups and noodle dishes! would love some more tofu recipes yum!! I would like to see more vegetable side dishes. I also want to make my own tsukemono. I really love the breakfast section of your website – It’d be great to see more recipes there! I would like to see more tofu recipes. I love zojirushi products! I need a new rick cooker. The one I have is more than 10 years old and has some melted plastic around the sides from being too close to a heat source. I would like to see more dessert recipes. It would be even better if they are Asian inspired! Thanks so much for all the great recipes and gorgeous photos! I would love to see quick recipes using ingredients that can be found in most supermarkets. Thanks for sponsoring this giveaway! I’d love to see more recipes with quail eggs.. I’m always looking for new things to do with them! Hi Nami… i’m a fan of your Blog, FB and Pinterest for some time now and love the simplicity of your recipes. i would love to continue to see you use more asian ingredients that are not familiar to me (i’m latin) like Kimbo Jirushi Kombusha that i discovered on your blog and now use it a lot for my meats. more recipes and appetizers or side dishes with spinach, veggies or tofu. I would like to see more one-dish meal recipes, such as donburi mono. Oh, and I signed up for your email list and liked you on Facebook! Cheers! Hi Nami, I love your recipes, I would like to make all of them someday! I hope you can make more bento recipes as I am running out of ideas on what to make. How can I cook radish/daikon? I’d like to see more bento recipes, and also malaysian recipes since I’ve recently been interested in learning how to make their cuisine! Liked on Facebook & Subscribed via email. I would love to see a dish I would buy from the department store groceries in Japan that are always on the basement level. It was a spicy(and a bit sweet) chicken with rings of sliced red chili. I would love to see a dish with LOTUS Root. Mahalo! Thank you for this contest! I discovered you thanks to your Google+ posts. The ingredient I’d like to see featured more is chilies (any kind!). I hear so much about shio koji. I would like to learn how to make it and cook with it. Really like your Blog. Would like to see more recipes for shabu-shabu and desserts please. There’s this “Japanese Cheesecake” recipe that I love at Genki Sushi here in Hong Kong and I think gelatin is on of its ingredients. I’m not sure how “Japanese” that is..haha..but it’s really really delish! I would love more recipes with the ingredient kombucha. I have a can of kombucha but it always goes bad before I use it all. I like your Quick & Easy recipes, especially the Traditional Karaage recipe. Love your blog! I would love to see a recipe for chazuke! I love chocolate, so I can’t get enough recipes that have chocolate in them!! Where can I use Bonito flakes? Do you know any Natto dishes? Do you have any good Japanese pickle recipes? Thanks! I like the family meal post and your give away. Unfortunately I cannot participate because I am not on facebook so cannot fulfill your condition. If just leaving comment is enough then I count me in. I love your bento box posts and would love to see them totally vegetarian. That’s a very hard question Nami! I love so many of your recipes. I think that ones that intrigue me the most are some of the marinated, grilled meats – like the tongue and pork belly. I’ll keep the others for another day. 🙂 Thanks for such a great giveaway opportunity. I would love to see more recipes that use miso paste. I’ve really enjoyed your blog since I found it last year. Thanks! I love salads and tempura dishes. I like quick dishes that are minimal ingredients. I already subscribe to your blog. Love the different dishes you present. Thank you and Happy Holidays! I would like to see more dessert recipes. would be awesome to see some pork belly things since I got a few slabs in the freezer . I’d love more with tofu! Nami this is an awesome giveaway. I think this is the rice cooker you recommended to me awhile back. Just had to throw my hat into the ring. I’d love to see you do more ice cream recipes. I tried the ones you have and they were amazing. You know me and ice cream. I’d love to learn some simple veggie roll recipes. Trying to cut back on meat a bit. Already like you on facebook (Kim Beaulieu). I’d love you but fb doesn’t have that option yet, lol. Hi Nami, I have just subscribed to your post and will be trying out some of your recipes this Christmas. I seriously adore Japanese food, and I love your tempura recipes. I am just wondering recently I bought a airfry machine (one of those which allows me to cook french fries with just one tablespoon of oil compares to normal deep fried). i have yet trying to make Tempura with airfrier. i am just wondering if there is a healthier way of making tempura or even my all time favourite chicken karaage?! thank you. Sweet potato! What surprising dish can I make with sweet potato? How about recipes using nagaimo? Thanks! I’ve liked Just One Cookbook on FB. there’s this side dish that I’ve tried at the japanese market before. it’s sweet potato cooked with lemon, it seems kind of stewed and is sliced in rounds. I’d love to see a recipe on that! I would also love to see any recipes you have that use shiso. I have a large ao-jiso plant that produces more than I know what to do with! and followed you on facebook too! I was wondering if you have any substitution for ingredients with Shabu Shabu if it’s hard to find some of the mushrooms or even the sauces. Thank you! My family and I like your recipes of Mango Ice-cream & Strawberries Frozen Yogurt, and I also purchased a ice-cream maker because of your yummy recipes. Thank you! I purchased a ice-cream maker, because my family and I like your ice-cream, especially the mango ice-cream and the strawberries frozen Yogurt. I would like to have more dessert recipes. Thank you! Would love to see more Miso recipes, as I never know what to cook with it. Thank you for the great recipes. I love to try the Teriyaki Salmon. Good morning Nami. Recipe using bean sprout. I really liked seeing recipes using seafood, particularly fish, on your blog. ^^ Ever since I moved to Fukuoka, I’ve had the privilege to have access to all kinds of fresh fish, and though I’m just a newbie in the kitchen, I really want to take advantage of his access while I still can (since I’m moving back to the states next summer). What are those little vegetables packaged in liquid used for? Are they eaten alone or do they need to cooked? What a wonderful blog! I want to try every single recipe! We spent some time in Japan with our kids last spring and I miss the food so much. I’ve subscribed and liked you on FB. i would love more chicken and vegetable recipes…quick and easy. Great blog you have. I like to see more low fat bakes like cake, bread etc.. I would love to see some things with avocado in it. Right now, I only use it in sushi, sandwiches and to blend it with durian for a smoothie. I would like to see other creative ways you would use it! I also would like to see things with bread; Not as the main course but little stuff for appetizers! And different types of dips! I am also subscribed by email and Facebook! Just wondering if you have a recipe for a chestnut cake love to try that Nami have a great day! What about Chinese roast pork (siu yuk)? It’s tricky to make at home and there are so many different methods people use to duplicate the crispiness you get at the bbq shops. NAMIchan, sugoine-. My first one will start JP school from April in Ho Chi Minh and he will need Bento every day… Looking forward to seeing some easy and quick bento ideas! And I am glad that you made this for world-wide! hehe. I would love to see more recipes using soba! I love soba noodles, but wonder how I can use them other than in zaru soba. Especially now that winter is here, it would be nice to have a hot soupy soba dish! Negi-toro and avocado was one of our “special” and rare employee meals. Thanks for the recipe, I have an Avo on the counter almost ready and green onions in the garden now I just have to find the Toro…..
I’d like to see more recipes for Japanese desserts! Just signed up for the newsletter and liked you on Facebook! Please put more Japanese recipes here! You have the best ones I’ve found online! Always tastes authentic! I love your site. Your recipes are like no others I’ve seen posted elsewhere. I love new recipes, not just redone. Thank you for allowing me into your kitchen. I like to see more recipes using tofu. Hi Nami, I would like to know how to make Chirashi? My Daughter likes to eat ramen, could you please make more ramen dishes? Hi Nami! Absolutely love your blog and find your recipes so inspiring – especially appreciate your ideas for family meals/meals for kids. Would be great to see more recipes using dashi and quick/easy family meals…Thanks! I’m kind of new to your blog but enjoying it very much. I would like to see tofu recipies, one of my kids is a very picky eater but loves tofu! I’d like to see more cake recipes. Thanks! I would love to see more Japanese dessert recipes. I subscribe to Just One Cookbook emails! Hi Nami, I really do love all that you post so asking for more is kind of difficult! I would love to learn what to do with Japanese bittermelon. I love posts that have sauce recipes. I really enjoy knowing how to make my own sauce for unagi and things like that and not need to depend on store bought sauces. I have already liked your facebook. Last night Soboro 🙂 Can we have more Sushi recipes? Thanks for such a generous giveaway, Nami! I would like to have more recipes using miso. I really enjoy your blog and have tried making your Japanese Cheesecake and Beef bowl. My kids loved them both. Thank you Nami for sharing your recipes and for your generosity. Happy Holidays! You are truly amazing Nami and very generous! I love all your recipe and of course liked you on Facebook! I would love to see more hehe DESSERT recipes just because I am crazy about it! I’d love to see you cook on YouTube! I am also subscribed to your email newsletter. I have added you on Facebook. I would like to see corn recipe!! I just had some fried ice cream yesterday was really wishing I had fried Oreos too. So for today’s ingredient, I would love to see things with Oreos in it! I am traveling today, and I thought I might request a recipe for those DELICIOUSLY sweet Japanese carrots (usually cut in coins) that are often served alongside hibachi, teriyaki, and teppanyaki meals in restaurants. I had some tonight with dinner… Is there anything difficult about making them so sweet? I already subscribe to your posts via email. Other of your recipes that I love are the sushi bowls, sushi and rolls. I’d like to see more tsukemono recipes/techniques. In particular old/fermented pickles, or nuka pickles. Thanks! I would love to know how to buy or make dashi that does not have msg. There are so many recipes I decide not to make because of that problem. Thanks! What a wonderful giveaway! And great roundup of recipes! I have to make the eel and spaghetti ones ASAP! I like to see vegetables, especially ones that are new to me, to learn how to use them. Love Just One Cookbook! Because I’m not a Japanese but Japanese food is my favorite cuisine. I love to learn how to cook authentic Japanese food but many times I don’t even know the ingredients in recipe since they are in Japanese. But Just One Cookbook shows all the ingredients in picture and it always has English explanation!! Love it love it!! I’ve been following you since finding you on pinterest about a year ago. I’d love to see a recipe for tonkostu ramen. I became slightly addicted to it when I spent a month in Yokosuka, Japan last year and can’t find anything close to it in the States. Love your blog!! Hello! I discovered the blog only today, but have already read thorugh all of it. Oops. I would love to see a recipe for takoyaki, or oshiruko – a dessert I have only tried once, but which has haunted me ever since. Thank you so much for sharing your passion! I would like to see more Japanese small dish recipes. Hey Nami, How about something with daikon? I really like it when its well cooked. Do you have anything special for it? Beautiful giveaway Nami! I would like to more Japanese sweets! thanks for hosting this! I am following you via feedburner! Discovered your blog just recently and have been enjoying it over the last couple of months. I am the mother of a toddler, so I appreciate recipes that are quick…My little one seems to really love tofu, so I would be interested in any recipes using that ingredient. I would like to see MANGOs as one of your ingredients! Not only as a dessert but in the main dish as well! How do Japanese restaurants keep their tempura batter crispy and so light? I always enjoy innovative chicken recipes! Love Japanese food but would love to have more vegetable and tofu recipes. Thanks for offering this great giveaway! I would love to see more sweets, such as tri-colored dango! I subscribed and like you facebook! gorgeous recipes 🙂 love them! I would love to see more vegetarian recipes with flavorful sauces (with some kick to them). Many thanks! I’d love to see more regional Japanese recipes, representing different local specialties of Japan! I subscribe to Just One Cookbook e-mail updates. Hiya! I joined about 2 months ago so im still exploring this website 🙂 I like the recipes and the post you put about your traveling trip was really fun to read! I have made lots of japanese foods and continue to search for more, if I had to name a food to see here it would probably be lots of donburi! because I love donburi! and more recipes that go could with soba and udon soups(like the sides,i.e gyoza ) I was experimenting with that. thanks for the contest! How about a recipe for Japanese pudding? How about a blog on yakitori? Hi Nami! I love your version of Arroz a la cubana. I would love to see more recipes using eggplant. Thank you! Hi Nami! Thanks for the giveaway, so exciting! I would like to see more recipes for easy week night preparation! I love your blog and would love to see healthy, gluten-free recipes! Thanks! I would love to see more rice bowl recipes. Thanks! Octopus/takoyaki I just discovered my local walmart carry can of octopus and squid.yay!! Just liked you on Facebook, and I’ve all ready been part of you of your news letter. I’d like to see a Japanese style creep recipe! In America they’re made differently and do not taste as good as the ones I had in Japan. I enjoyed both the “meal” creeps (the ones filled with stuff like chicken and vegetables) and the dessert creeps while I was over there. I love how they folded them so you could carry them in your hands. I really want to make my own, but I have been having issues on finding a recipe. Just back from two weeks in Japan – the rice is so good! It actually glistened! Wish I could find rice like that here. Well, my post from yesterday has given me the idea for today’s request. I was wondering/hoping that you might have a recipe for the “shrimp sauce” that is so often served with hibachi style meals. If so, could you share it, if you haven’t already? Would love to see more tofu recipes. I, this is the first worldwide i have seen! cool! i am an american in europe! i subscribed! Happy Holidays to you and your family. I would love to know how to make green tea ice cream or see more recipes using red beans (azuki). I would love to see any dishes using ‘okara’ that you have! I love your recipes with miso! I would be interested in learning how to make pickled vegetables and fruits. Thank you! I grew up eating Japanese Pizza – also called okonomiyaki. Would like to see a recipe for this. I would love for you to post a ramen recipe. Could you post any other recipes (besides ice cream) that use mango, please? I love mango! There are so many yummy things already here, it’s hard to know what to request for you to add. Thanks for this WONDERFUL blog! Good day Nami. Love your japanese cheese cake! Hello Nami. I love your japanese cheese cake! Thanks Nami for all your recipes! I’d like to know more about dishes Japanese often eat for New Year. I’d be interested in a mont blanc (モンブラン）cream recipe, please! I would also love more oyatsu recipes – late afternoon snacks and little meals…. That would be great! Oh, and I already friended and subscribed you on facebook a while ago. Can you post more recipes for appetitizers? Lots of Christmas parties coming up and having some really good appetitizer recipes would be really helpful! I love the chicken teriyaki recipe. Is it hard to make Yokan? Thank you for the sesame cookie recipe! I would love to see more of such sable-type cookie recipes! I saw a similar version selling at a Korean bakery. They use almonds and chocolate chips. Now I am wondering if I can replace the sesame seeds with almonds and chocolate chips. Love ur blog and picts! 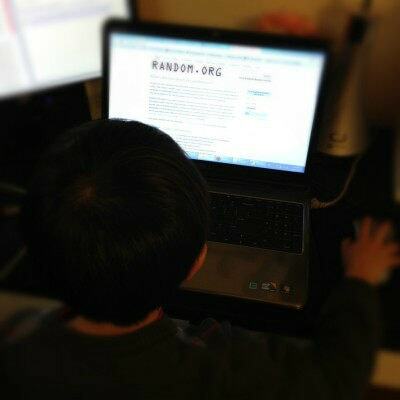 Your blog is one of my favorites. I’ve tried many, many of your recipes and they are all delicious! My family has made a version of the sesame cookies and I am anxious to try yours. Hmmm, it’s hard to say what I want to see from you because you’ve covered a lot of Japanese cuisine, and you always do a wonderful job! So my answer is…anything! Just surprise me! Hehe! I follow Just One Cookbook on Facebook! I really enjoy your posts about the Japanese culture. I’d love to read more about this. More tofu recipes please! And tea drinks (milk tea, iced teas …)! I would love to see more pork belly recipes! Could you post any recipe that has okra in it? Thanks! I love sauces and would like to learn more about Japanese sauces. Today, I was wondering if there are any other recipes you could share, that use mochi rice cake. Besides putting toasted pieces on top of red bean soup, what else can you make with mochi? Hi Nami, I’d love to see more recipes for different kinds of tsukemono! I subscribe to your site via e-mail. I would love to see more of your puff pastry ideas. I loved your easy apple pie! It was a recipe that could not go wrong! I already subscribe to your newsletter. You have so many Japanese recipes on your sight. I can’t wait to try them all. I’ve made several of them and they are all delicious. I can’t wait to try your latest Sesame Cookies. Thanks for sharing. Sesame ice cream recipe please! We recently had sesame ice cream in a restaurant, so good. Not to mention some casual Japanese lunches, every day things. Haha, thanks! Today, I was watching a lot of KDrama and would like to see you make some type of Korean rice bowls!! I was once in New York and had the best octopus rice bowl! I’d love more dessert recipes. The ones you’ve already posted are wonderful! I want to see daigaku imo! Tried your Oden recipe and my wife just loved it. Thank you! I have been thinking all morning about what kind of recipe to request for you to share today… It is harder than you think, when there are already so many delicious recipes already here. I finally settled on asking you to share a few more tofu recipes, if you have them. I know others have said it already, but I like tofu and I am hoping for more ways to prepare it in Japanese cuisine – which is my favorite! I’m interested in some spicy recipes. Not necessarily hot though. Sorry. I don’t know if my last comment went through or not. I love your Sesame Dressing. My youngest son requests it for all his salads. I make it every week, doubling the recipe. ive never doe anythig like this before but i would like to say i really appreciate your blog its a real life saver on my part. i would costantly search for easy step by step japanese recipes and couldnt any decend ones but ever since i found your website i found myself cooking your recipes all the time. please continue to blog im sure im not the only one you appreciates your effort. I’m a subscriber to JOC! Miso is quite easy to find in Brazil and I would love to learn new uses for it. I’d love to see some more udon recipes. I’m subscibed to emails via RSS. Love reading your blog. Would love more recipes with pork. Thank you! I would like to see pumpkin or kubacha squash as ingredient. Thank you. Hopefully I’m doing this right. Leave comment as bonus entry that I’ve subscribed to newsletter. Liked on Facebook. Thanks for having this contest. I would like to see more chicken breast recipes, please. I am new to your blog but I am really enjoying looking through your recipes. I have even tried one so far with great results. I would like to see more Japanese desserts as well as see more vegetarian recipes. For today’s comment/request, I want to ask for something that may not be very easy to do. I’m aware that there is not much dairy in Japanese cuisine, but do you have any recipes at all that include cheese? I would like to see more green tea desserts as well as takoyaki! Thank you for the great website! I love your site. Thank you for all your recipes and help for those of us who don’t have access for all the ingredients. Would love to see more recipes with yuzu. Thank you and Happy Holidays! Would enjoy more beef recipes. I would love to see a post on how to make your own udon noodles from scratch! I like the recipes for Japanese celebrations and customs. Thanks so much for sharing your recipes. I love seeing Japanese recipes on your website. Our family lived there for four years and I really miss the food that we were able to get over there. Thank you for your website! I am a vegetarian. I have always love your recipes and tried out some. They really taste amazing! I’d love to see more Japanese side dishes since I have always been fascinated with Japanese style meals. Vegetables, tofu, natto! (I love natto). Oh, there’s one Japanese ingredient I really wanted to try it out; Mozuku. I heard this is Okinawan specialty and very healthy. Hope to see a recipe with this ingredient in your blog! My last comment showed up under yesterday’s date, which I did not realize. I keep forgetting that you are on West Coast time, Nami-san. Oh, and thanks for replying to me about the carrots. I’m not sure if what you described is what I had at the hibachi place; those carrots are SO sweet that there must be sugar somewhere in the preparation. There is no sauce or glaze, so I assumed the sweetness is something to do with how they are cooked. Still, I really appreciate that you took the time to respond to me. To make this comment an official request/entry, this time I would like to ask for more recipes using wakame. I bought some in the nearest Asian market, for my miso soup, and I was wondering what else I could make with it. Thanks again! Just stumbled upon here while trying to find recipes for cream stew (using ingredients from US). Thanks for the info. Thank you for the sesame ice cream link! I’d love to see more vegetarian Japanese recipes. I subscribe to Just One Cookbook e-mails! Hi Nami, I would like to see a gluten free, vegetarian recipes from your kitchen. Thanks for the opportunity to participate. I would like to learn how to make tsukemono with homegrown greens. I’m remembering what my grandmother (originally from Hiroshima prefecture) used to make for me when I was a child. I enjoy reading about the different uses and types of seaweed. Would love to see more recipes with vegetables and tofu. Thank you! I have already subscribed and like the Just One Cookbook page. I like everything you post, but I would especially like to see more bento ideas! Thanks! I know this isn’t Japanese, but would love to see a recipe for Lumpia. My family loves fried foods. I like to see more fish dishes. Thanks! Is it already the last day for the giveaway!? Wow, that was fast! Thank you for doing such a generous thing, for your readers! Thank you Nami for all you great effort .I would like to learn more Japanese Wagashi recipes ,with your wonderful simplification , and more side dishes recipe please, wishing you more of success .